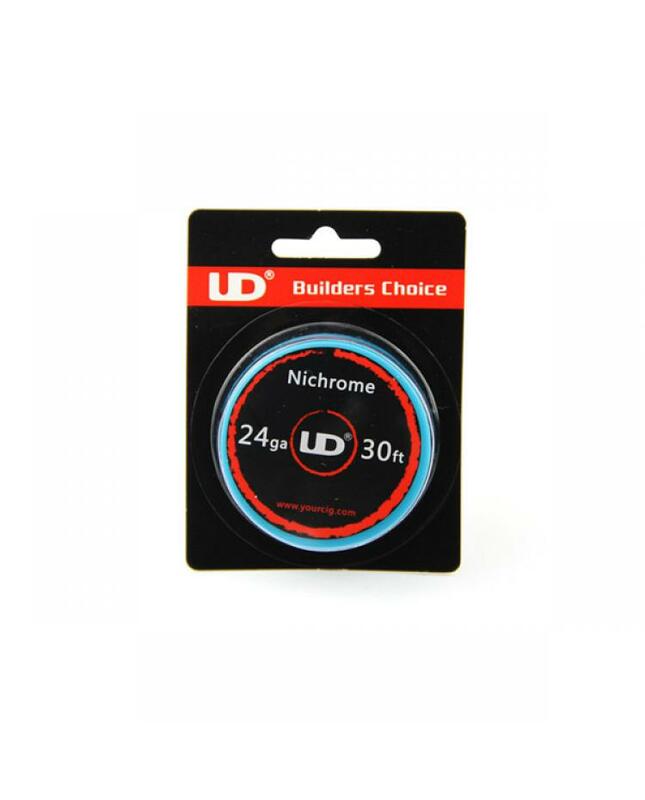 UD nichrome wire, 30ft per reel,24GA/26GA/28GA avaliable, suit for vapers use to build coils for RDAs use. nichrome is wire material that uses a blend of nickel and chrome with low resistance per inch than kanthal at same gauges, allow the mechanical mod to achieve high wattage. heats up faster and designed to bring massive cloud when paired.